I've been searching awhile for a good pair of packable weatherproof pants. When these came out, I knew they would be amazing based on all the other UD products I've used. The pants do a great job of protecting against the elements. They are also above average on breathability for pants made of weatherproof material. I tend to wear shorts unless the temp drops dramatically, and these are no exception. I think they would be a little warm for anything over 25 degrees Fahrenheit and dry. In cold, wet conditions they excel at keeping just enough warmth while keeping the elements completely out. 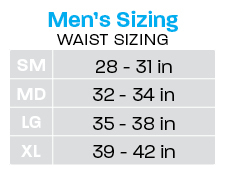 The pants also pack down into the internal pocket, packed size being just larger than a fist. My one complaint, and this is small, is that I find myself looking for an external pocket. Since both the jacket and pants have no external pockets, I end up having to unzip the jacket to put gloves or buff into a pocket. This is by no means a deal breaker, and adding a pocket adds weight, but for me, one external pocket would make them perfect.